When it comes to fast air conditioning service, new installations and repairs across the entire Denver and Boulder regions, you can count on the great service and expertise you receive from Precision Air Conditioning. Read more about Precision's customer service level guarantee here and from our other happy customers here. 1. 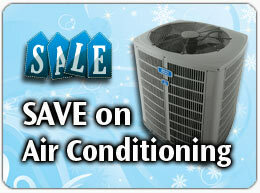 SAVE ON AIR CONDITIONING: With our promotions, discounts and energy-saving solutions. From service to new systems, Precision can help. 2. 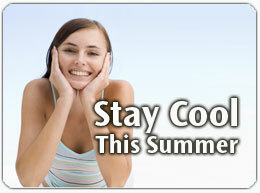 FAST AIR CONDITIONING REPAIRS: Relax in cool comfort. Our technicians can repair your system on-time when you need us. Read more here. 3. NEW AIR CONDITIONING SYSTEMS: If you're looking for the best in new air conditioning, heat pump and home comfort solutions, Precision Air Conditioning has the answer. Select from the best systems on the market, with expert installation from licensed professionals. Read more here. 4. TRUSTED FOR 30 YEARS: Precision is the trusted choice in thousands of local homes. 5. AWARD WINNING SERVICE: For 8 years in a row, Precision Air Conditioning has been awarded for it's great level of service. 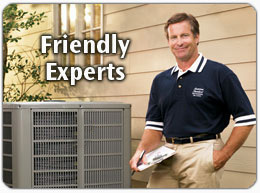 Be sure of polite, clean-cut and helpful technicians that will take care of your home. 6. 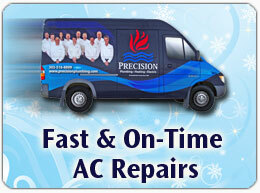 ALL AIR CONDITIONING & AIR QUALITY NEEDS: Precision can help with all of your home comfort needs. 7. UP-FRONT PRICING: With Precision there are no surprises: you'll always know the full price in advance before you give us the go-ahead to do the work, for your complete peace of mind. For great service for all your air conditioning needs across the entire Denver and Boulder areas, call and speak with the specialists from Precision Air Conditioning today.